The Operations Manager will be responsible for ensuring the smooth running of all museums operations and visitor services directly reporting to the Director of Operations. Will be responsible for managing the operations relating to employee management, coordinating with the museum managers to ensure staff are productive and meeting guest service standards. Reviewing guest services (Ticketing, Parking, Guest Services) locations to ensure proper standards are being met. Liaison with the Facility Manager Liaison to ensure all facilities are operating properly and review preventive maintenance programs for both facility and exhibits. Assist the Director of Operations with establishing improvements and defining goals for all museums. Work closely with finance and HR to ensure budgets are being monitored and met and that staffing levels are in-line with current operations. • Must have 10+ years in museum operations experience with at least 5 of those years as a Museum Operations Manager or Assistant Operations Manager. • Need to have a college degree in Project Management, Hospitality Management, or other related Business Operations. Looking for an experienced Gold Technical Analyst with 5-7 years’ experience preferably European national. 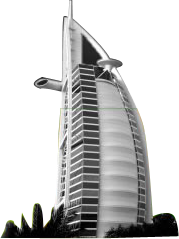 To join our prestigious company in Dubai. Can speak and write English fluently, Arabic is a plus. Salary is negotiable, depending upon experience. Technical analysts observe patterns of the stock market to make predictions about its future performance. This systematic approach to financial forecasting takes into account statistics like stock price, trading volume, trade rates, securities, and interest rates. Analysts apply this information to statistical formulas to derive the best time and price at which to sell stocks. Along with evaluating stock market trends, analysts may gather, file, and present such data for use by their employers. tyre technician for heavy vehicles is required on urgent basis. The position is for Baniyas Abu Dhabi. 1. Can identify Tyre size, ply and inflate tires accordingly. 2. Inspect tyre casing for defects such as holes or tears. Inspect mechanical components of vehicle to identify problem. 3. Locate punctures in tubeless tires by visual inspection. 4. Rotate tires different position on vehicles. 5. Clean and tidy up the section/clean work areas. 6. Should be able to maintain the standard time for each job and monitor its efficiency. UAE driving license is compulsory for this position. Note: The total package for this position is 4500/- AED (including all) + Airfare+ Insurance + Transport. - At least 1+-year Experience in Immigration consultancy. - Should be a self-motivated, enthusiastic & fast learner. - Constant learning of process and updates pertaining to immigration laws/ changes. Execute volume for Skilled Immigration casework to United Kingdom ,Canada & Australia including compliance and eligibility assessments, clear process and requirements guidance, and handholding assignees through the immigration process. At all times proactively perform work activities for our Clients as a professional advisor. Communicate effectively the progress of the immigration process with relevant client contacts including document collection, filing of applications, and anticipated finalisation dates, ensuring that communications are technically accurate, and written communications follow the standard layouts and templates. Identify key issues that may impact immigration formalities such as travel plans, dependants, and health issues, to ensure the client is updated on the status of each application and anticipated issues or timelines. Meet monthly billing target goals by strategically planning, organizing and executing workload to reach standard financial targets and annual goals. Weekly or Bi-Weekly follow up with the clients to ensure the customer Service level is maintained at all times. Respond to emails and queries from client related to process change and provide detailed consultation on each immigration step. Escalate potential client issues to the Client Services Manager and participate in the resolution of these issues. When you apply Please answer the following questions in the covering letter. 1, How do I find suitable for this position? 2, What skills attributes and experience would help me in performing my role?